Thai Hutt Restaurant uses their own specialised couriers to deliver their food. Vermicelli, carrot, onion, bamboo shoot and wrapped with spring roll pastry. Minced chicken and crushed peanut, preserved radish wrapped with puff pastry. Vermicelli, chicken, carrot, onion, bamboo shoot and wrapped with spring roll pastry. Minced fish mixed with red curry paste and vegetables served with sweet chilli sauce. Minced chicken, potato, onion and curry powder enclosed in puff pastry served with sweet chilli sauce. Chicken tenderloin marinated with Thai herbs, coconut milk and curry powder served with peanut sauce. King prawn fritter with shredded coconut. One of the most popular Thai soups with Thai spices, seasoning, lemon grass, lime juice, chilli jam, fresh chilli, mushroom and coriander. A spicy, light coconut milk soup seasoned with lemon grass, galangal and lime leaves. Minced chicken, lemon juice, onion, coriander and chilli. Cooked chicken, onion, mint, coriander mixed with chilli and lemon juice. Sliced grilled beef, cucumber, tomato, onion, lemon juice dressing and chilli flake. Roast duck sliced mixed with Thai herbs, chilli jam, coconut cream and toasted coconut fine. Cooked mixed seafood, chilli jam, onion, shallot, mint and lemon juice. Cooked squid, onion, mint, coriander mixed with chilli and lemon juice. Cooked king prawns, chilli jam, onions, shallots, mint and lemon juice. Tasty red curry made from red curry paste, dry chilli with coconut milk and mixed vegetables. Traditional mild Thai curry made from green chilli paste, fresh green chilli with coconut milk and mixed vegetables. Mild yellow curry with coconut milk, potato and onion. Mild panang curry paste cooked with coconut milk, ground peanut and mixed vegetables. Mild curry cooked tender beef with coconut milk, potato, onion and cashew nut. All dishes come served with egg. Thai style fried rice with mixed vegetables. Stir fried rice with fresh chilli, basil and mixed vegetables. Stir fried rice with pineapple, cashew nuts, raisin and mixed vegetables. Stir fried rice with tom yum paste, shrimp paste and mixed vegetables. Stir fried rice noodles with bean curd, bean sprouts, peanut, sweet sauce, carrots, shallots and egg. Stir fried flat noodle with sweet soy sauce, mix vegetables and egg. Stir fried flat noodle with chilli, basil, mix vegetable and egg. Stir fried yellow noodle with vegetable, soya sauce and egg. Mild noodle soup curry powder, mixed herbs, coconut milk, tofu with hokkien noodle, bean sprout and egg. Wheat noodles with mixed vegetables, bean sprouts, yellow curry powder and egg. 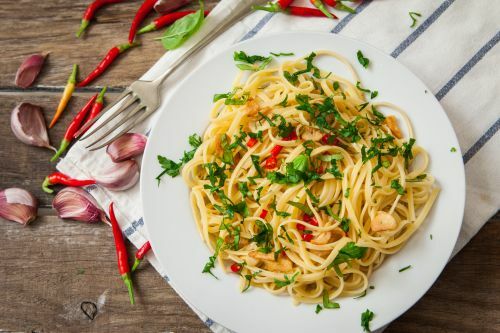 Most famous dish with fresh basil, chilli, garlic and vegetables. Stir fried with chilli jam, cashews and vegetables. Stir fried with fresh ginger, shallot, vegetables and mushroom. Stir fried mixed vegetables, mushroom and oyster sauce. Stir fried with sliced lemongrass, chilli jam and vegetables. Stir fried fresh snow peas with oyster sauce. Tomato, cucumber, pineapple and mixed vegetables stir fried with sweet and sour sauce. Thai style omelette with Thai seasoning with the choice of meat. Choice of meat stir fried with red curry paste, fresh chilli and vegetables. Delicious mix of thick red curry paste, coconut milk, bed on steamed vegetables. Stir fried with deep fried garlic and chilli jam on a bed of steamed vegetables. Stir fried king prawn with chilli jam and vegetables. King prawns cooked with tamarind sauce with deep fried onion atop and steamed vegetables. King prawns lightly battered and deep fried served with steamed vegetables topped with honey lemon sauce. Stir fried with home made black bean sauce and vegetables. Stir-fried with onion and capsicum with soy sauce. Stir fried fresh chilli, sesame oil, vegetable bed on bean sprout coconut milk served on a sizzling hot plate. Deep Fried whole barramundi topped with your choice of sauce. Comes with 6 nuggets and chips and Free kids apple juice. Thai style kids hokkien noodles with egg and soy sauce.